In most murder cases, the setting stays put, if nothing else. But when murder comes to visit the J. C. Hobart traveling carnival, the entire operation has left town before Captain Weiss can gather any tangible leads. 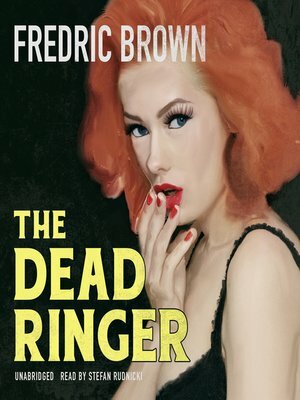 For young Ed Hunter, the case throws him together with a gorgeous redhead from the show, but as another murder occurs, and then a third, he and his Uncle Am find their hands full with more than just their ball game concession. In a strange atmosphere of freak shows, show girls, and an escaped chimpanzee, Ed and Uncle Am take it upon themselves to find the killer on the loose—a killer who chooses his victims according to their size.